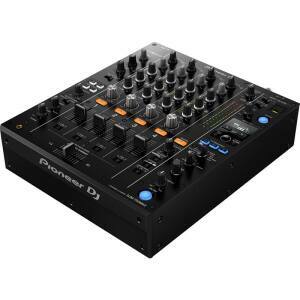 People who like to work with turntables and CDs should definitely take a look at our mixers. Not only suited for studio recordings they are also available specifically for DJs. Depending on what you are planning on doing with them, they can be distinguished into two categories: battle and club mixers. As the name suggests, battle mixers are used for ?battling?. Here ?Scratching? and ?Beatjuggling? are of outmost importance. This means that it is enough for the mixer to have 2 or 3 channels, which turntables can be connected to. These devices are relatively small and only equipped with the essentials (e.g. equalizer, linefader, crossfader and gain-control). Club mixers on the other hand are often found in clubs or bars as permanent installations. They have more channels than the battle mixers and a broader spectrum of features. Nowadays some of them don?t only support analogue but also digital signals. This means that they are able to play songs in MP3 format.